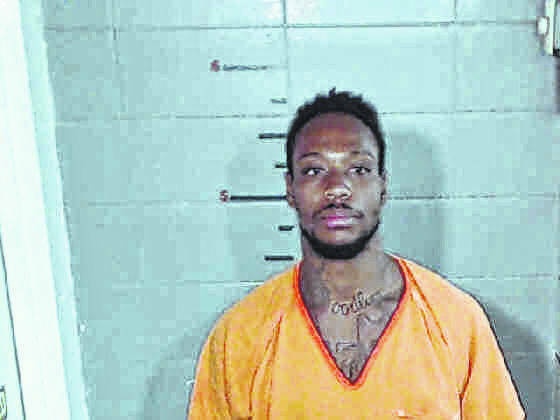 GALLIPOLIS — Antwan D. Walker, 34, of Worthington, was convicted by a Gallia County jury on all counts, after a trial by his peers last Feb. 6 and was sentenced Wednesday to five-and-a-half years in a state facility. The jury returned guilty verdicts on the following counts: Assault of a peace officer, a felony of the fourth-degree; Assault of a peace officer, a felony of the fourth-degree; Assault, a felony of the fifth-degree; and Trespass in a Habitation, a felony of the fourth-degree. Walker faced a maximum possible prison term of five-and-a-half years. The State sought the maximum sentence. Walker was sentenced by Gallia Common Pleas Judge Margaret Evans to 18 months in prison for the trespassing charge, 18 months each for assaulting a peace officer and twelve months for assaulting a corrections officer. According to Gallia Prosecutor Jason Holdren on Aug. 24, last year, Walker had reportedly been attempting to enter a home in the Bidwell area when refused entrance. Holdren said court testimony given by Walker said he claimed he was attempting to get into the home because he was “under the influence of methamphetamine” and hearing voices and wanting help. Residents of the home eventually subdued Walker and took him outside the home before he was retrieved by law enforcement. Walker refused medical treatment and was combative to the point he was “tazed” said Holdren. Deputies, Ohio State Highway Patrol troopers and Gallipolis City Police were present to assist before he was taken to the Gallia County Jail. Walker again was reportedly combative, tazed a second time and struggled with officers. Holdren said several “seasoned” law professionals of at least 10 years in the field felt Walker was abnormally strong while under the influence of drugs at the time before they finally were able to put him in a restraint chair. It reportedly took at least five officers at the jail to deescalate the situation.